We recently spent a week in Cornwall. Here is a nerdy moment from a week away. We decided to go to St Ives which, for those who don’t know is a very pretty seaside town, much loved by artists over the years. It has fantastic beaches (some face east and one faces west), quaint streets of fishermen’s’ cottages and a little headland which is marginally wilder. What it really doesn’t have is easy car access or parking. It just wasn’t built for the motor car. But it does have a rail line. 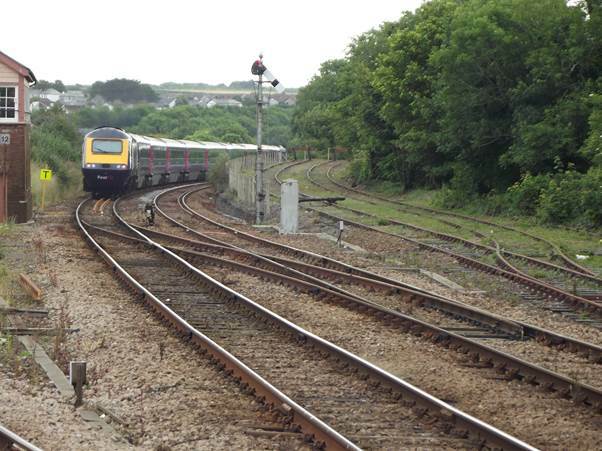 The line branches off the main line from Penzance to London at the station called St Erth. 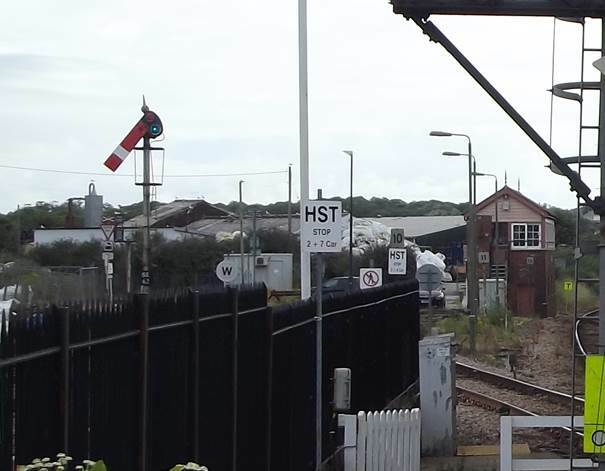 I think this could be the most westerly rail junction in England. 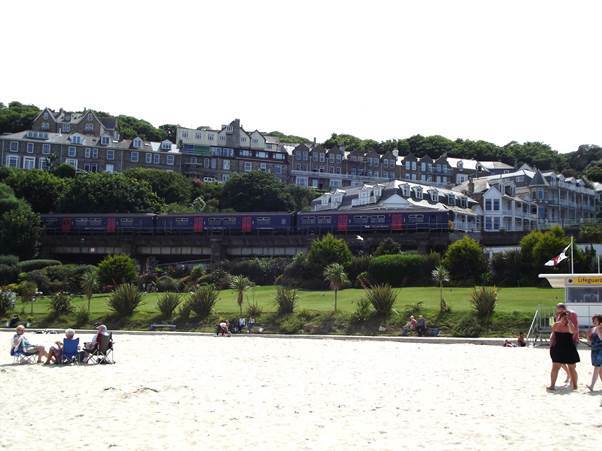 The line to St Ives is about 4 miles long and it hugs the shoreline. Wonderful! 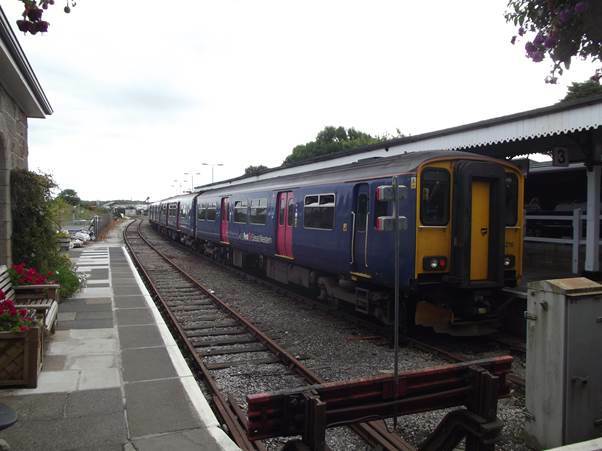 This is St Erth Station. And that’s a waiting St Ives train. Now to me that train is not interesting but it has the ability to do the round trip in less than half an hour so a good, frequent service is operated. The next platform sees a London express waiting. Most of the people boarding have come off the St Ives train. 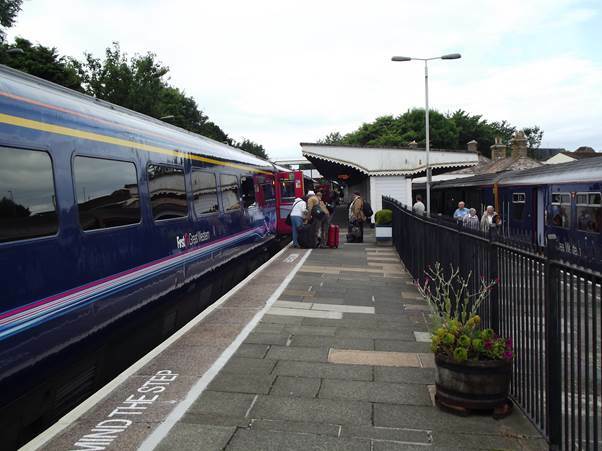 A little snippet of information is that more people change trains at St Erth than at any other station in Cornwall. 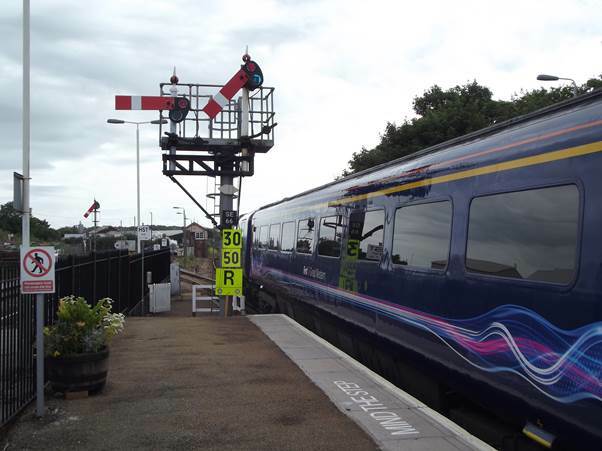 The main line is still controlled by good old Great Western style lower quadrant semaphore signals. That’s the London train with the front end on the St Ives junction. There’s an appropriate old signal box here as well. There it is, with the London line passing to the right and the St Ives line passing to the left. The signal is already cleared for the St Ives train but I have time to watch the London train head away. 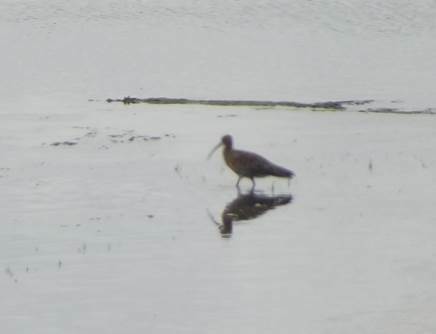 The St Ives line goes past the Lelant saltings – a veritable haven for wading birds. Sadly, photos have to be taken through the slightly grubby double glazed windows on a wibbly wobbly moving train. 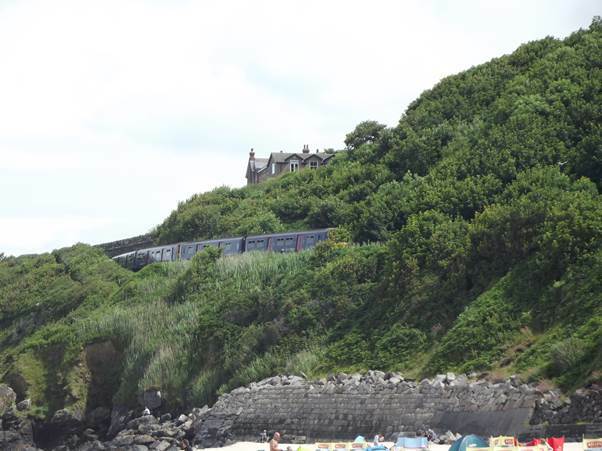 Now to St Ives where the line approaches the sea high above a beach. There’s a train approaching and running in to St Ives station. 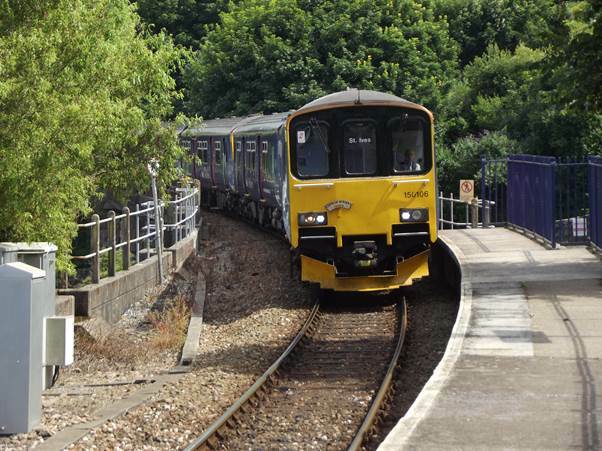 There is a little touch of humour about this train which trundles the four miles between St Erth and St Ives in 13 minutes. 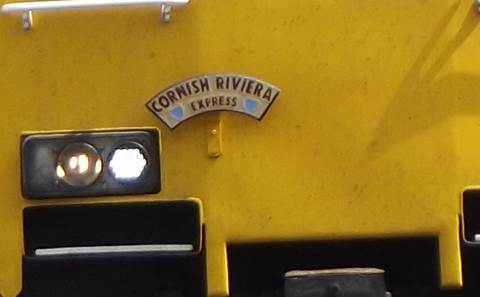 It carries a little headboard announcing it as the Cornish Riviera Express. And now one for the real rail nerd. Do you notice the track that train is on? Yes, it is proper old fashioned bull head rail! These photos represent little more than half an hour out of a day at St Ives. It isn’t all nerdery. Honest! 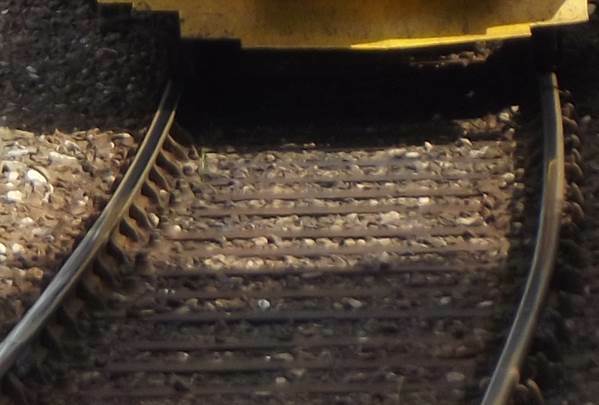 This entry was posted on July 16, 2014 at 5:32 am and is filed under railway. You can follow any responses to this entry through the RSS 2.0 feed. You can leave a response, or trackback from your own site.